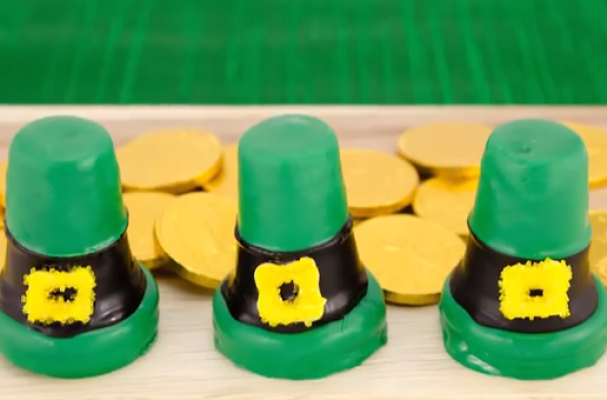 These leprechaun hat cupcakes bring the luck of the Irish to your kitchen. This festive St. Patty's Day treat will delight the kids and impress the adults. Watch the tutorial below to learn how to make this very green dessert yourself.